Join Leanne Jacobs on this revolutionary wealth + wellbeing event where you will experience deep healing on all levels. Leanne has pioneered the very first holistic wealth revolution where deep healing is at the very foundation of a new era of wealth creation + feminine financial leadership. You will be treated to yoga, detoxing, juicing, ultra clean eating, Seven-figure wealth strategies, and all things beautiful money. Leanne will personally mentor you through deep transformation during this 3 day mind, body + soul retreat for money + mindfulness. Detox your body and mind as you learn the secrets and strategies for joyful wealth, peaceful prosperity and pure body alignment. 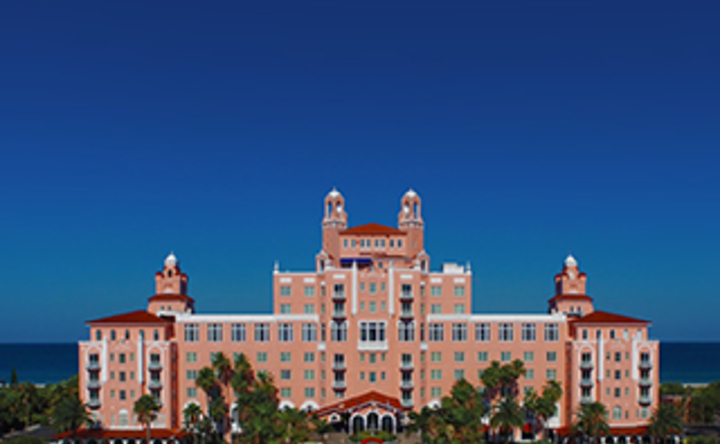 Dramatically perched atop wind-swept dunes with expansive views in every direction, The Don CeSar is the epitome of old-world glamour and sophistication. Since 1928, it has graciously welcomed the world’s elite, stars of the silver screen, renowned authors, U.S presidents and even a gangster or two, all seeking a private, sophisticated playground in the sun. Today it’s your turn to experience the legendary Pink Palace. Iconic. Romantic. Celebratory. Bask In Coastal Elegance. Relax in one of 277 contemporary rooms, including 36 suites, all with gracious views. Lounge in one of the two outdoor, heated pools with poolside concierge service. Transform in our 11,000 sq. foot Spa Oceana. Play in our backyard, sugary St. Pete Beach & the sparkling Gulf of Mexico. Celebrate your dream beach wedding or special event in over 38,000 sq. feet of elegant indoor and outdoor venue spaces. The Don has it all. The only thing missing is you. 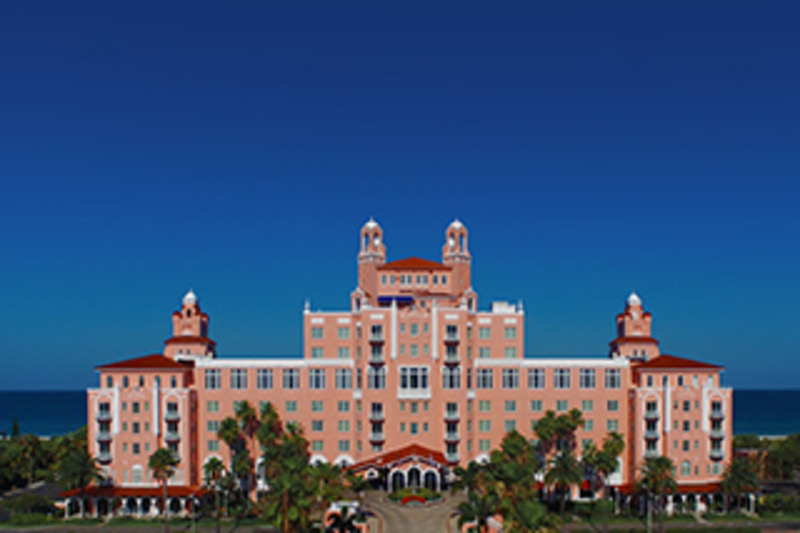 The Don CeSar is located on a peninsula between Tampa Bay and the Gulf of Mexico; the hotel is connected to mainland Florida to the north. Alternatively, the bridges on I-275 connect to St. Petersburg from Northwest Tampa and Terra Ceia. We’re just 30 minutes from Tampa International Airport and 25 minutes from St. Petersburg/Clearwater International Airport, which is approximately a ~$40 Uber or Lyft ride. * This retreat does not include round-trip airfare, incidentals such as souvenirs, additional tours not part of the itinerary, and spa treatments. It is highly encouraged to purchase travel insurance. At my core I am a mentor. I have always believed that living authentically, mindfully and with kindness is the true key to lasting prosperity. I believe that we all have a deep responsibility to evolve and lift others up as we do. When we teach from a place of truth + authentic kindness, we simply must succeed. The lessons + principles that I teach are based on almost 2 decades of study, practice, more practice and commitment- to living a life of truth + authenticity + alignment. My first published book- BEAUTIFUL MONEY was published by Penguin Random House and is truly in essence who I am as a being. I am a spiritual guide to many and business mentor to many more. I built a 7-Figure Wellness Empire in the Direct Sales Industry, was a marketing + sales manager for some of the largest companies in the world (L’Oreal, Nike, Johnson+Johnson and DuPont) and recently acquired the most gorgeous organic superfood for children + parents alike. I have four children and have a super charged love for everything spiritual, yoga, travel, music, fashion, family, holistic + detoxing. I am a certified clinical nutritionist, yoga instructor, pilates instructor, detox specialist + holistic wealth mentor. I will show you how to align your life with the most gorgeous energy in all its forms. I regularly contribute to outlets such as: Glamour, Women’s Health, Women’s Day, Mind Body Green, Well + Good, Success, Entrepreneur, Fox News, Marie Claire + more. I have a deep passion to do my part on a daily basis to evolve human consciousness through my life, work + my voice.